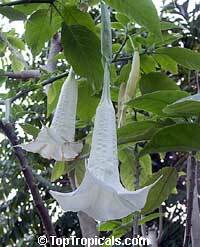 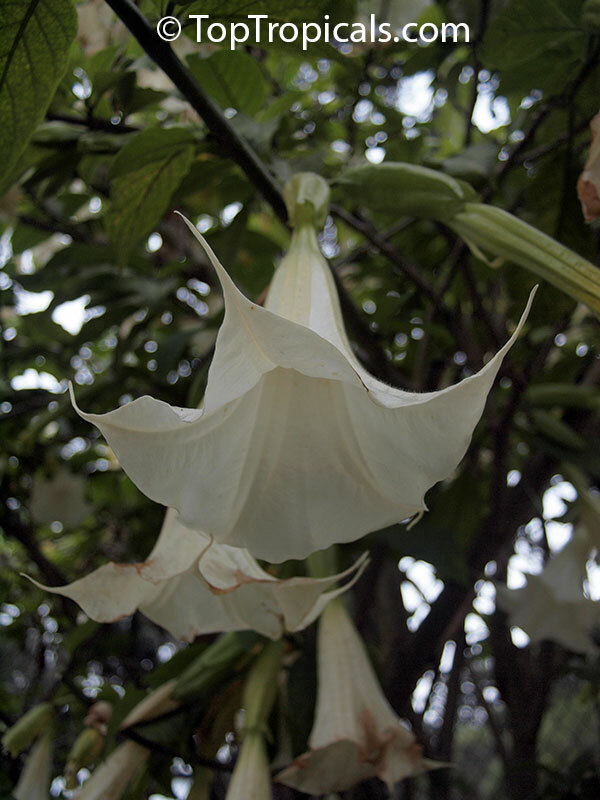 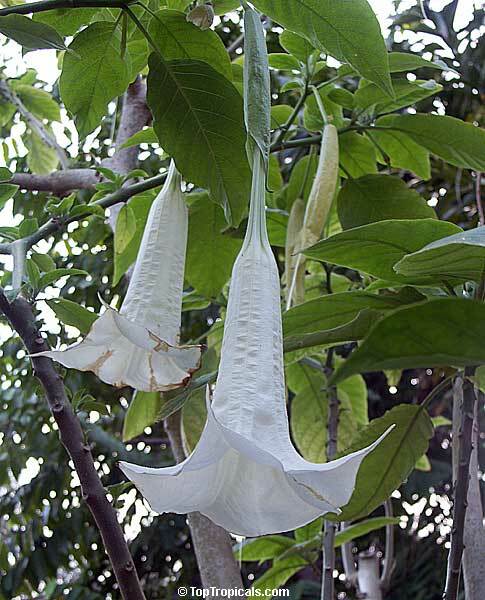 Brugmansia arborea are closely related to the Datura Candida, but grows much larger--up to 25 feet. 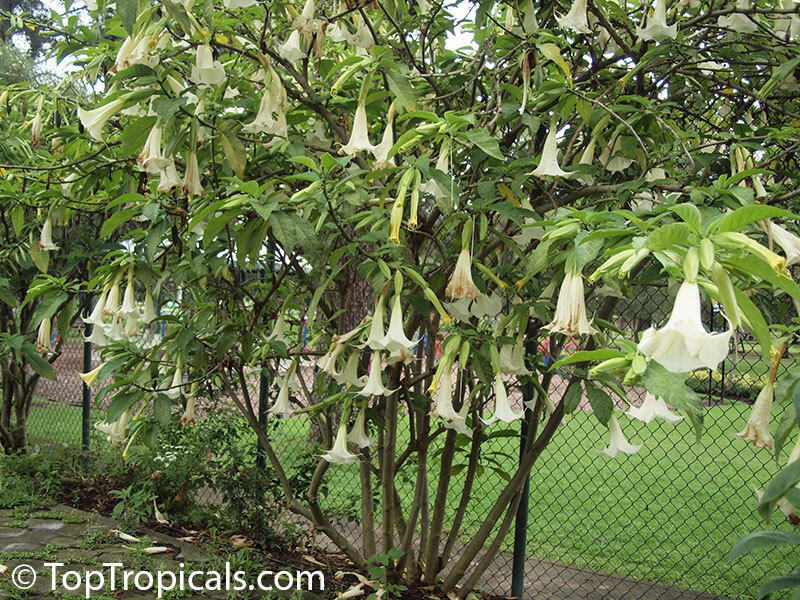 Hence the common name - Tree Datura. 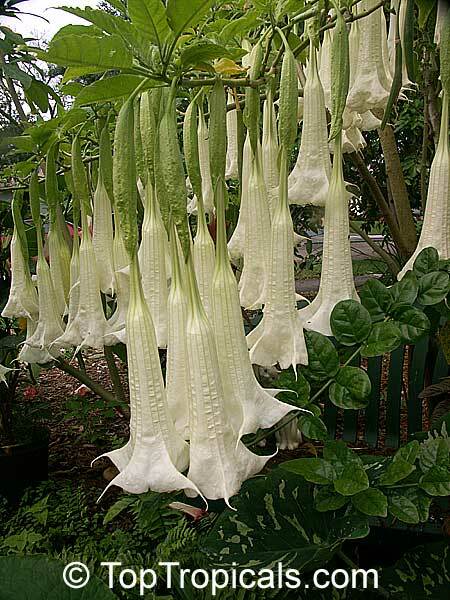 Covered with huge, hanging, trumpet-like flowers. 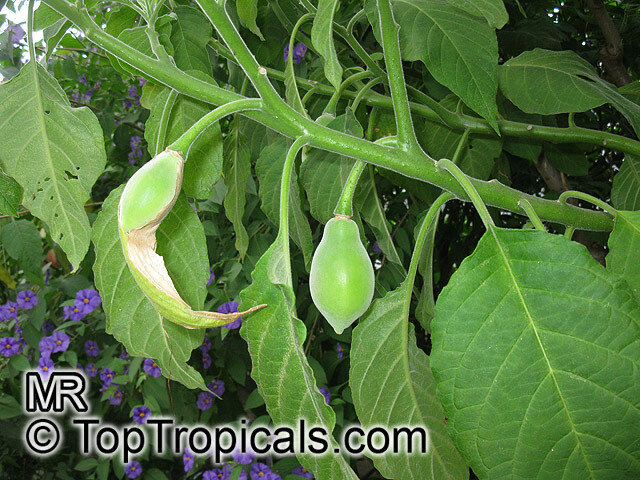 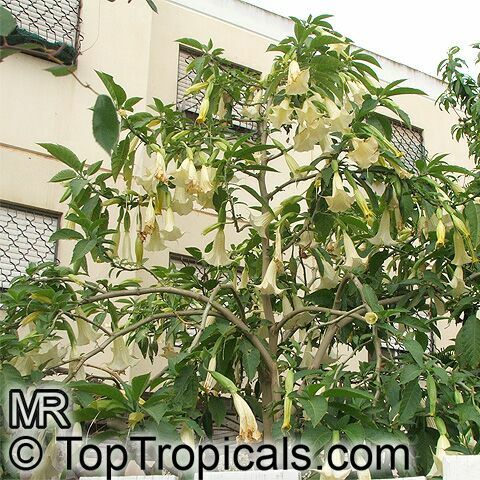 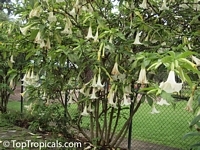 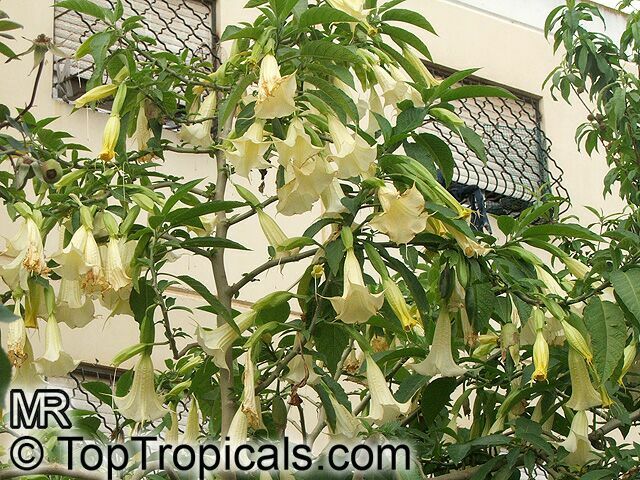 Brugmansia arborea is a very robust and somewhat drought tolerant variety. 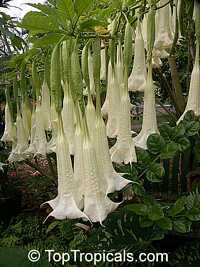 Green, velvety, trumpet-shaped leaves and beautiful creamy white 4 Ѕ -6 Ѕ" long fragrant flowers are produced continually.